One of the great classic industrial/noise compilations - much appreciated. Murderously strong comp. Mega. Hearty thanks for the post. Never heard about this comp! Interesting. Discogs says the first press (Yangki) is from 1985, December.And there was a cassette reissue en 1987 by united Dairies. Thank you very much Mrs. Inside! 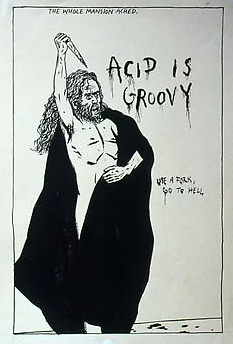 Stumbled on this one because of being very much into Current 93. C93's David Tibet, btw, was the organiser of this compilation (a 'Tibetan' production), phoning out his addressbook... This was not my first encounter on most groups but some of them here have very memorable moments. 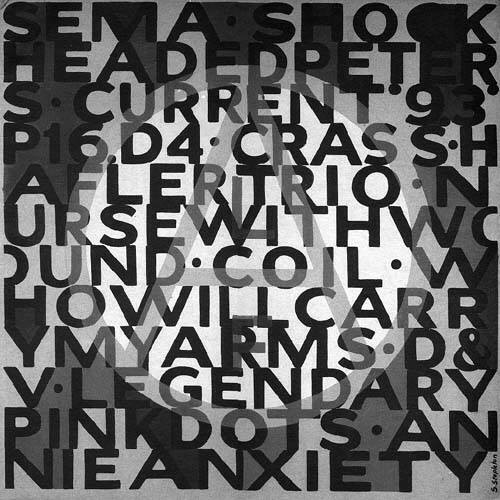 The tracks by Crass, Coil, Annie Anxiety and, notably, Shock Headed Peters are amongst their best efforts. Raw beauty...! This is a follow up compilation by an earlier ALF-dedicated benefit compilation organised by Crass. The original should come with ALF-promoflyers inside. Never managed to make the full transition but I've been vegetarian for nearly 30 years. For the past quarter of a century, I've been sharing my living space with many many rescued cats. There are four with me now. Many will leave and join in the years to come accompanied by grief and joy. Some of us try to make a difference where we can. The more that do, the better the world becomes.